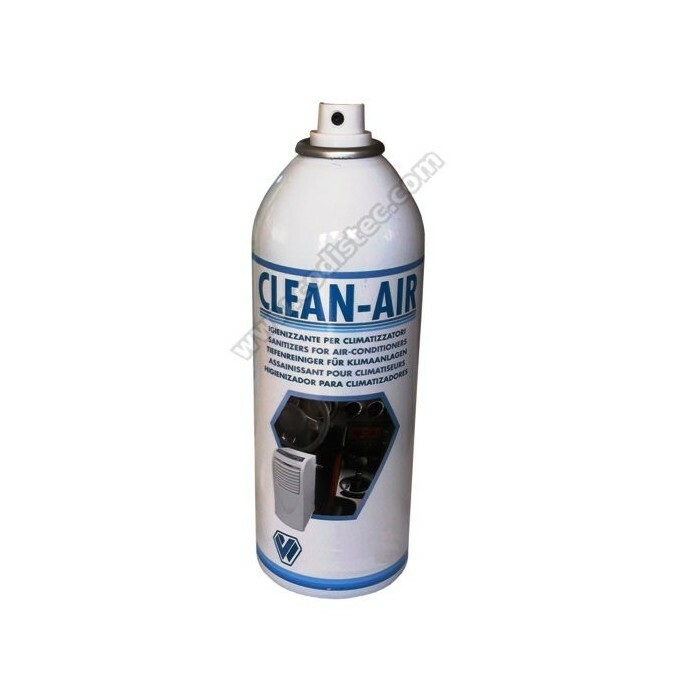 Clean-air spray disinfectant and deodorizer for household and automotive air conditioning. Very efficient at eliminating odors. 400ml gives many applications, 2 to 3 treatments. 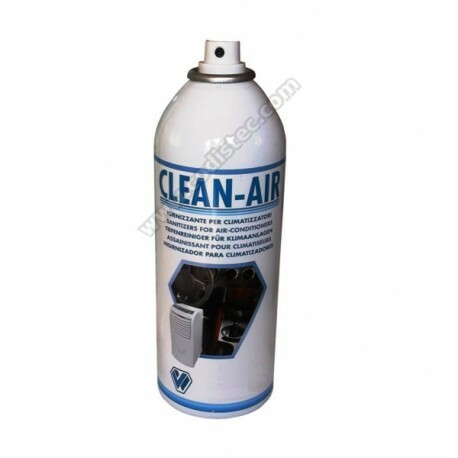 Clean -air spray disinfectant and deodorizer for household and automotive air conditioning. Very efficient at eliminating odors . Home: With the unit off (disconnect power supply ) spray on the inlet and outlet on the filter and fan ventilation , which should be fully impregnated . Leave act 15/25 minutes. Auto: With ventilation off spray on the inlet and outlet air , close all doors and windows leave act 15/25 minutes. Remove the air conditioning filter (we recommend changing the filter ) , turn on the air conditioning in cold and spray directly into the air intake of the fan, then turn on the recirculation of air conditioning and spray a little into the passenger compartment through an opening in window, be careful not to spray directly on leather. Leave act 15/25 minutes. In some car models it is necessary to have the engine running.